Returning after a two month break where its all been happening and not all in a good way. Currently in training for The Moonwalk again. Not doing so good due to various things but did manage a 6 mile walk the other day and I could have done more. Just short on time a bit at the moment. I have to be Moon walk ready by May the 11th and I have committed now because I am now collecting sponsorship. I am already up to £150.00. This is very motivating. I also have an outfit to design and make along the theme of Boogie Nights. I am hoping to use recycled materials rather than buy anything. Doing well this year with my target to make £2019 in 2019. This is one of the challenges on the Moneysavingexpert forums. Since New Year; with all sorts of cashback, interest, sales on Ebay and other bits I have made £679 so far; go me. In other news, I am 23 months from being able to retire and will hopefully be mortgage free on that date. It isn’t long and I would not have been able to even think about retiring if I had not worked at saving, not spending where I didn’t need to and overpaying the mortgage. I have been working hard on the clearing and decluttering but not helping myself with keeping accepting other people’s stuff to take away. I have had the benefit of some great stuff for myself but most of it has been redistributed to the charity shop, people in need or sold for donations to Cancer Research. DS2 has moved out but he had 12 bags of clothes that he hadn’t taken with him until tonight. We sorted through it and he has taken 4 bags. The rest is to be bagged and taken to the CS. From his clothing hoard I inherited 2 zip fronted hoodies. The last time I wrote we were talking about a woodburning stove. Well happily we now have one. It was installed in the week and we have been able to use it as the weather isn’t particularly warm in the UK right now. It warmed the house enough for the central heating not to have to come on. Since DS2 moved out our food bill has gone down, but also what we are buying has changed. We are able to stretch our food budget but also NOT buy stuff that comes in plastic. Bottled pop (soda) and squash for one. Packets of bacon in plastic. We have started making our own bread which is turning out well. It is heavier and tastier with the quality that you get in posh cafes and restaurants with your soup. We are lucky that we get fresh yeast from DS3’s college where he works in the kitchen. He often brings out of date or opened stuff that has to be used up to us rather than it be thrown in the bin. We have also started eating lettuce off the allotment, our first crop this year. Sowing and planting has also started. This year we are adding kale, cauliflour, spinach and baby sweetcorn to our range of crops. Apologies for the long time btween posts. Its been a bit hectic round here as I have had the builders in for a remodel. it was worth it but I had no time for anything else. Health and Fitness: Well I think I am as unfit as I was this time last year when I had started training for the Moonwalk. I was doing ok until the building started and them the winter set in. I have reapplied for the Moonwalk so I now have a deadline to work to. I have been struggling a bit with being overwhelmed lately but this has started to ease off as the place has got tidier. First step every time in this case is to self care. Proper bedtime, cut down on rubbish food, prioritise. Making Money: Despite not working very hard at it DH and I made about £1990 last year with cashback, surveys etc. It would have been better but all extra activities came to a full stop. Not motivated at the moment but a box is filling up of stuff to sell online. It would be great to make the same again this year. Decluttering and Minimising: The declutter also came to a stop in the last three months of last year. We are back on the wagon now but have an enourmous amount of work to do. Just today we cleared several boxes of clutter from the old kitchen and 3 out of 5 shelves of a tall booksehlf. This bookshelf is one of two and both have anew home to go to once cleared, hopefully in the next week. Still working at the Charity shop and still bringings stuff home. I have also been taking bags of stuff in. Now people know I am there they give me stuff to take which comes into the house, gets presorted, and goes right out again. Prepping: The remodel now complete and our cupboard stores are back to normal levels. Just need to fill the big freezer which has been put in the garage. In time, when ther are only two of us we will get a smaller one but we are making do right now. The next project which we will start looking into very soon will be whether we can put a multifuel stove in our house. We have had a few brownouts for short periods over the last few years . They don’t last long, but everything in our house except the gas hob need electricty. We have cooking facilites in the form of a campings stove so we just need a stove to keep us warm. So we remodelled the house but managed to reuse some items: doors, the cooker hood and double oven. We replaced the hob with one exactly the same but in better condition for £5 from Ebay. We regifted our tumble dryer and have hung onto the washing machine as it worked. My SiL kills hers on a regular basis. The tall units are now raised beds on teh allotments and some of the shelves reused for shelves in a new alcove we have. The appliances we bought are all very energy efficient and water saving. Any kitchen item we could reuse or regift, we have. Finally there are some leftover bits that are unused and so we will sell them on when we have time. Christmas was not so good re plastic bottles. Next year I hoping to make some gifts instead of buying as I have a load of fabric and crafty bits. Health and Fitness: Sadly fitness has been taking a nosedive the last few month.Since swapping cancer prevention meds I seem to have lost fitness and strength and developed more aches and pains, new ones like finger burning and joint selling, and the old ones just a bit worst. I expect not making time for excercise, even walking is also taking its toll, plus I had a I heavy cold. I am managing to walk an average of 9000 steps a day though but obviously I need to go above that to keep weight off and keep healthy. Making Money: This has been a fairly good month with the two regular savers completing and being able to claim the reward. I have decided to restart selling stuff on Ebay and have had my first sale with a very small profit after charges, but it is better money in my bank than items gathering dust. Decluttering and Minimising: The big declutter continues, forced along a bit by the need to make space for building works. I have started working at the local Cancer Research Charity (Thrift) shop. I always wanted to do this but children and life sort of prevented me from commitment. I have already brought a few things home, paid for I might add. This has to stop. I have had loads more stuff come to the house as people give me stuff for the shop. Yesterday I sorted a car load of stuff and put it all straight back into the car for delivery to the shop this morning when I do my 3 hours of sorting. DD has now gone back to uni. A van full of stuff has gone with her and she left a bag of clothes, to be sorted, as she cleared out her wardrobe before she left. Prepping: Prepping for the downstairs remodel continues. This month we have run down our chest freezer and now just have a small freezer full of usable food. It sort of makes me feel vulnerable. Worst still; it has been at exactly the wrong time as the harvest of food off the allotment has not been preserved, just eaten or given away. In line with the above we are continuing to rehome stuff from all areas of the house. Health and Fitness: Not much going on here. I am maintaining fitness and weight rather than improving on it. I have been pretty active at the allotment hauling water which is like weight training but that is about it. Sleepwise things are a little improves with me getting an average of 5to 6 hours sleep a night. A lot less when it has been very hot or its a Sunday night. Hope to restart walking or the Couch to 5k soon but other things are taking my energy as I prep for some building work. It is three years since breast cancer diagnosis. feels like a long time ago. Making Money: I have been doing well with monitoring my spending plus money is starting to come back in that was loaned out. I am feeling a lot better about my overall finaces than I was last month. I am still not doing surveys etc, got too much on still. There will be big outgoings in the next month as the kitchen remodel goes ahead. It is going to be money well spent. In the UK we have a big event coming in March next year as we leave the EU. There is a lot of talk about deliveries being delayed and concern about food shortages; at least in the forums I am reading. We are actually ruunning down supplies as we clear the freezers and cupboards os will give this had thought about what we need for winter and beyond. Decluttering and Minimising: In line with the above we are still decluttering very slowly, the heat and lack of sleep make a big all in one go effort virtually impossible for me. In the last month a lot more stuff has been donated, given back or thrown away. DS and I sorted out his clothes mountain and most of it is now stored. This week the builder has been and marked up where things are going to be. Time to finalise kitchen plans and declutter the kitchen. I had a look at my fitbit my sleep pattern is terrible. I am managing on between three and six hours sleep most nights, especially because it is hot. In the last three weeks I have had two night of more than six hours. I am going to cut myself a bit of slack and wait for the temperature to drop and then start the excercise properly. In the mean time I am cutting down on the bad stuff foodwise and hope to lose a few pounds. With it being so sunny I am taking care to drink a lot and keep in the shade (I am a burner; freckled and fair). I have sun cream and antihistamines on the allotment but also in my hand bag. I am also the most likely person to get bitten. As you can imagine, with the lack of sleep and the heat I am having to practice the fine art of pacing. I do bit, rest a bit. It works for me and I get more done than if I did a big task and exhausted myself. Making Money: Money has been leaving faster than I would like but now I have a had a holiday I am on the money diet. Spend only where necessary and no puds or alchohol when eating out should help. I am doing ok with bank interest and odd bits of money coming my way. I am too busy for surveys etc at the moment, besides it’s too nice to be stuck on a computer when the sun is shining. Back to all that when the usual British weather returns. I am owed a substantial amount of money by various people and I am going to work on getting it back. I don’t mind lending it out but get a bit annoyed when no effort is made to then repay. Prepping: A different sort of prepping is going on in my house at the moment. We are having the downstairs remodelled a bit which means taking out the kitchen for a few months. We are going to use the dining room as our kitchen and eat out of the freezer and cook on the campstove. We have a microwave and a slow cooker too so should be fine. Decluttering and Minimising: In line with the above we have started moving stuff around. It was going to happen anyway but now there is a bit of pressure on. It started with my sister taking a load of carboard boxes from the shed to move house with. I cleared out the shed which is dry and have now moved a load of fabric into it, neatly stacked in tough plastic boxes. These and a lot more stuff was stored in DS room, but he also had a load of stuff arrive which he was storing somewhere else, he needed the room. Downstairs there has been a bit by bit decluttering going on to allow for the kitchen to be moved. That isn’t finished yet. Refuse, Reduce, Reuse and Recycle: Since I last wrote I have been avoiding buying drinks in plastic and takeaway cups. I am re using everything I can. Each item that leaves the house is recycled or reused in some way. Easy things like bags of books and harder things like bags of clothes that are not good enough to be reworn – these are donated to the charity shop marked for rags. The CS makes about £4.50 per bag I am told. Reducing food waste is relatively easy as we have a freezer and we are pretty creative and accepting what we eat. DD made onion soup today out of a load of reduced price onions, home grown garlic, carrot and spud plus leftover sweetcorn and peas from last nights tea. It was delicous too. 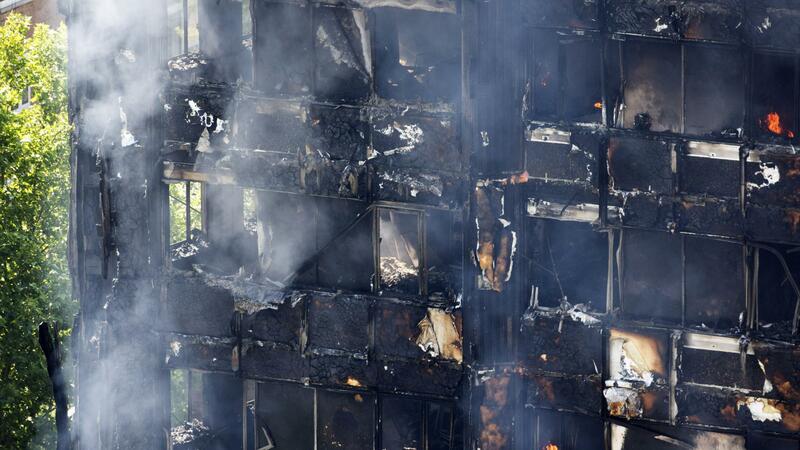 It is a year today since the horrific fire which killed 72 people at Grenfell Tower in London, UK. I for one will never forget the footage of the fire from afar on the TV. I cannot imagine how the surviving residents of the tower as well as the people who live in London, especially near the tower will ever be able to put it behind them. This is a wake up call for the penny pinchers. I hope they get all that is coming to them once the inquiry is over. In the meantime, I hope that all the survivors get what they need to find resolution, hope and for some, basic accomodation. Green is the colour that local school children, affected by the fire, to represent the tragedy and the community as does the green heart. I have a long Bucket List. On it are a lot of things including sleeping under the stars to visiting a jungle. Most people seem to think of it of a list of things to do before you die. Of course I get this but I don’t think of it like that. For me it is not a rush to see and do it all by death, but a focus to take pleasure in, to aim for more experiences things in life. I want to experience all that I can; the list is really so I don’t forget anything. So one of the things on this bucket list was to go to the Hay Festival. This is a literature festival that takes place each year in the lovely town of Hay on Wye. It is situated on the Welsh side of the English/Welsh border in the county of Herefordshire. http://www.hay-on-wye.co.uk/ Here is the town website. Hay is famous for it’s bookshops of which there are over 20 situated in it’s small streets. It is also a very pleasant place to spend the day with all the other lovely shops, cafes and pubs. The famous Offa’s Dyke runs past the town. It is a 177 mile path which follows a Dyke built by King Offa along the whole Welsh border. I would like to walk it in the future but will have to wait until I retire if I want to do it in one go. The town started having a literature festival in 1988 and has since become one of the world’s top literary festivals. It has been on my list for a long time. The festival runs for about 10 days but we went from Wednesday to Sunday last week. Instead of buying a ticket for a lot of money and trying to get into things the Festival organiser charge for each show. Tickets range from £6 up to over £20.00. First night,we saw Dara O’Briain. He is doing The Voice of Reason Tour. I laughed so much that at times I coudn’t breath. It was a good start but we hadn’t booked any other tickets. We leafed through the booklet with all the acts in and decided on Marcus du Sautoy, talking about measuring infinity and I opted to go to a session talking about resilience in the NHS. Over the next few days we say Alice Roberts (anthropologist) and Chris Bonnington (Mountaineer). There was also a storyteller giving us a taste of his book ‘The Assembly of the Severed head’. The whole event seemed to run very smoothly apart from the odd technical hiccough. One of the best things was that once a session was over the writer would go to the festival bookshop and sign their book. Each hour or two you could walk in to the shop and see maybe JoJo Moyes or Jilly cooper. I was pleased to see Monty Don in the flesh. The whole experience was great and I will be going back next year. Each even had a chalkboard outside which was hand drawn individually, here is the one for Alice Roberts and her 10 species that changd the world with the artist who’s name I think was James.